We trek, we scout, we seek... And sometimes we get rewarded. The bottom panorama was taken during one of many exploratory trips through the volcanic landscapes of this particular Hawaii Island. 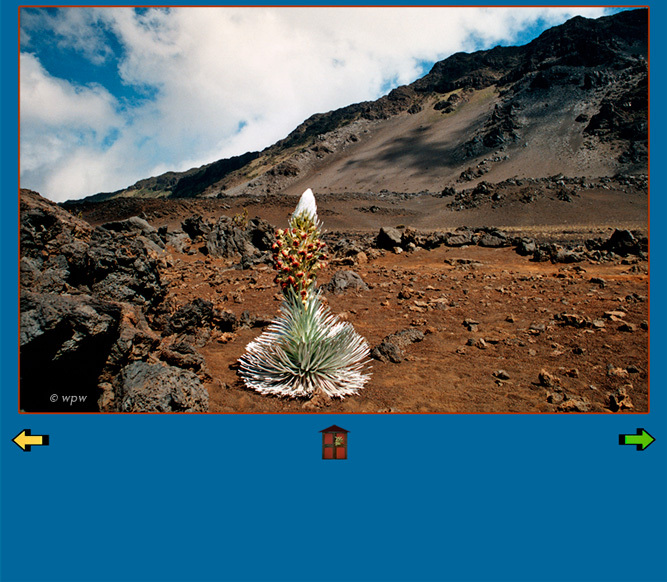 When I discovered the plant during a Haleakala crater crisscrossing, I was stunned for 2 reasons. One, that it would grow in an area where there was no other plant life of any kind. Two, that it was almost in full bloom, no more than 2-3 days away from it. 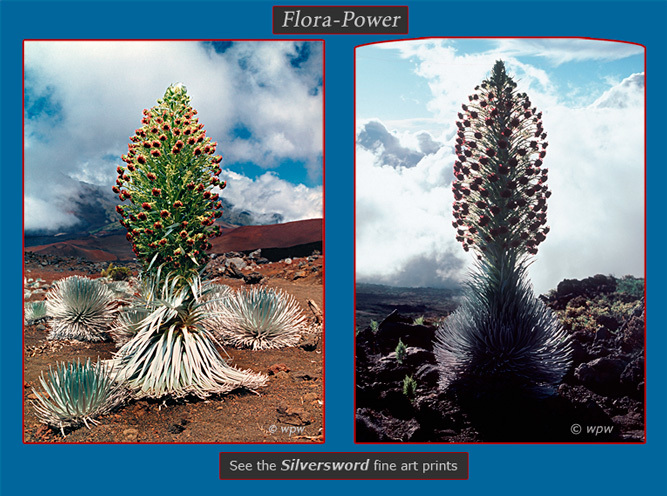 Never before had I come upon a Silversword so close to its mature splendor. What to do..? Camp here, without the necessary equipment..? No way. I would simply have frozen to a stiffo waste. A return to the scene of wonder seemed the only viable choice. to get so badly. Was I lost in the clouds or out of her grace..? No, it turned out, not quite. a series of shots) and mumbled: "Mahalo! Mahalo! Mahalo!"